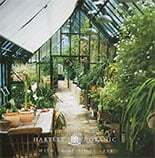 Hartley Botanic has been building strong, durable and attractive bespoke glasshouses for 80 years now. We’re proud to say that the bespoke greenhouses we built in the 1950s are still in use today, and are still beautiful. However, our claim to fame isn’t this, or our long list of prestigious clients, but the fact that there is a bespoke Hartley Botanic greenhouse for everyone – whatever your space requirements – from a modest allotment, to the finest stately home. We also cater for your personal budget, tastes, and colour requirements. Hartley are honoured to advise you from the start to the finish of your greenhouse journey. Our dedicated team have years of experience and expertise under their belts, and when it comes to the design phase, we incorporate computer aided design to ensure your bespoke greenhouse is absolutely perfect for you and your outdoor space. Whether you require a lean-to greenhouse, a brick-base greenhouse, a planthouse, or a large stand-alone structure featuring separate areas, we can create your ideal outdoor room. 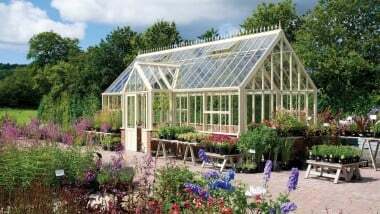 We provide bespoke greenhouses for all gardeners, and all gardens. We can provide an entire range of services as the main contractors, including structural and mechanical engineering. Hartley is a byword for lasting quality performance and functionality with professional, serious, and hobby gardeners alike. What size bespoke greenhouse do I need?